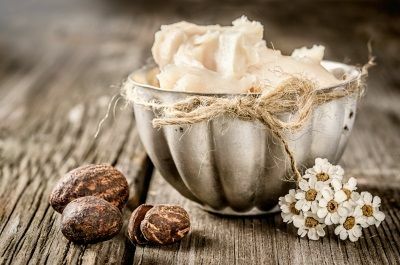 Shea butter is an ivory-colored or off-white herbal fat extracted from the nut of the African shea tree, sometimes called the karite tree, which comes from French and means the tree of life. 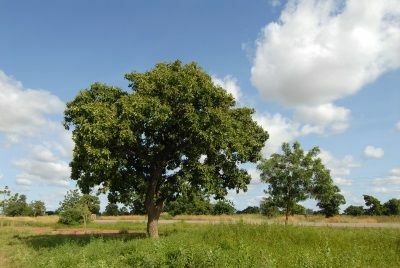 Shea tree is twenty meters high and it can take more than fifteen years for it to grow its first edible nuts. The tree is very rich in nutrients which allow it to survive for several hundred years even in extremely dry and warm conditions, such as in Sahara desert. 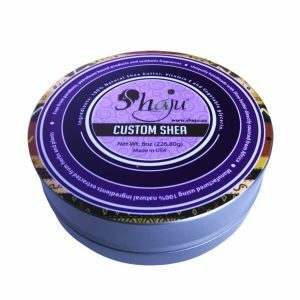 Shea butter is edible and is used for centuries in Africa for food preparation, as well as a skin moisturizer and hair conditioner. There are numerous benefits of using shea products and they depend on the type of shea butter that product contains. 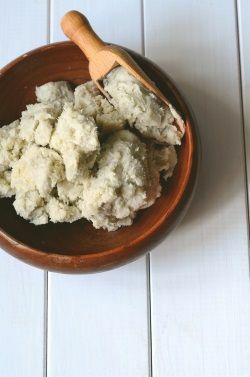 There are 4 types of shea butter; raw and unrefined shea butter, and refined and ultra-refined shea butter – They vary in color, scent, and different benefits. All types come from the same basic shea nuts processing. What makes the difference is additional processing such as filtering, removing any impurities and smell, altering color and changing its composition. As there is no additional processing, raw butter contains some impurities and has a characteristic smoky smell which comes from roasting. The color of raw butter is usually a deep yellow or even greenish if processed walnuts were not fully ripe. If shea butter is filtered in any way, it is not considered as raw anymore. Unrefined shea butter is very similar to raw shea butter. However, there is a difference in filtering these two butter types – Unrefined shea can be filtered as long as the filtering methods don’t affect its quality. 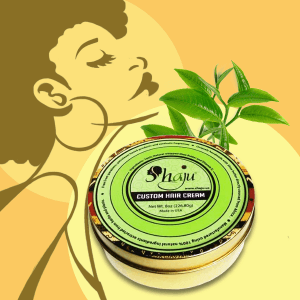 Unrefined shea butter cannot contain chemicals and preservatives. At the end of filtering, unrefined shea butter is beige in color and has a nutty scent. 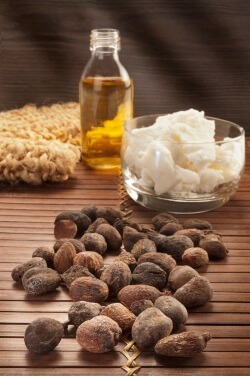 Refined shea butter usually undergoes processes of filtering and odor removing. It contains some perfumes and preservatives and has fewer nutrients than raw and unrefined butter. Ultra-refined shea butter goes through at least two filtering systems which result in changing its composition. During the refinement process it loses nutrients, the consistency can vary from firm to liquid and the color of ultra-refined butter is very white. This type of butter you can find in mass-produced cosmetic. Refined and ultra-refined shea products are visually appealing, easier to use and feel more luxurious. Unfortunately, the moisturizing and healing properties in refinement process are reduced. African shea butter in its pure unrefined state is used for centuries in Africa. Shea is not only an excellent natural moisturizer, but it is also edible and has exceptional healing properties for various skin conditions. Your skin is the largest organ of the body and takes care of the vital functions including body temperature regulation, protection and storing water, vitamins and fat. To function properly and look healthy, your skin also needs protection, hydration and nutrients. Shea butter is without a doubt one of the best agents for your skin as it offers supreme protection and anti-aging regeneration. As a moisturizer, shea is beneficial for dry skin. It offers all nourishment your skin needs and helps damaged skin to heal. Shea is also ideal for baby care since it is natural and very soft and gentle for sensitive babies’ skin. Thanks to its moisturizing properties, shea butter is the best revitalization agent for your hair. You can use shea for every type of hair, but dry, damaged and dull hair will benefit from shea treatments the most. You can use shea masks on your hair anytime, especially in summer and when your body is subjected to a lot of stress. Shea protects the hair from damage caused by weather conditions such as the wind, humidity or the sun. Shea restores hair moisture and vitality. Minerals and vitamins in shea butter accelerate hair growth. An increasingly common problem of a modern time is dry hair. The problem occurs as a result of frequent coloring, aggressive hair straightening procedure or curling with a use of chemicals, washing with hard water or during winter staying in dry and overheated areas. Dry hair requires an extra care! 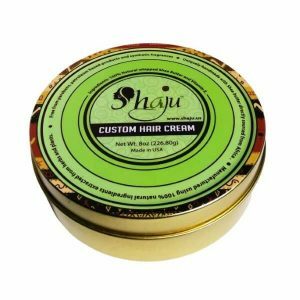 It is recommended to apply shea packungs on dry hair 2-3 times a month. Benefits of using shea butter are numerous; shea nourishes and heals, protects and soothes. Shea butter contains several natural moisturizing properties, the same ones that the sebaceous glands produce in your skin. The butter melts at the body temperature and rapidly absorbs into the skin. Shea contains high healing fractions – 5-17%. Comparing to other seed oils which usually contain 1% of healing fractions, shea butter is superior in reducing inflammation and protecting skin. It also has a limited capacity to absorb UV radiation. Shea contains important acids which protect and nourish the skin – oleic, stearic, palmitic, linolenic and arachidic acid. It also helps the natural collagen production in the skin. Shea is rich in allantoin which helps to prevent aging. Except in healing fractions, shea is extremely rich in A, E, and F vitamins. For storing refined and unrefined shea butter, make sure to follow product instructions. Usually, shea butter products are best to use within a year after opening. 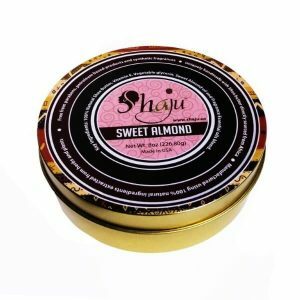 Can you provide any shea butter suppliers that you use? I am looking for Grade A unrefined shea butter and cocoa butter. If you know of any African women cooperatives, I am interested in those as the proceeds help with wages. Thanks. Hi Katrina! 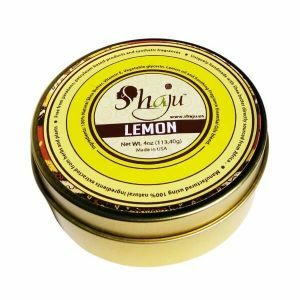 We have wholesale shea butter available for sale (https://www.shaju.us/shop/raw-unrefined-shea-butter/). We work with women producers in Wa, Ghana (Suke and Duu-West communities). Our founder, Sharon, has conducted research on the economic and psychological impact of shea butter in these women’s lives. The money from shea butter sales goes towards supporting their children academically and providing resources to pursue additional technical skills such as hairdressing and tailoring. Best!